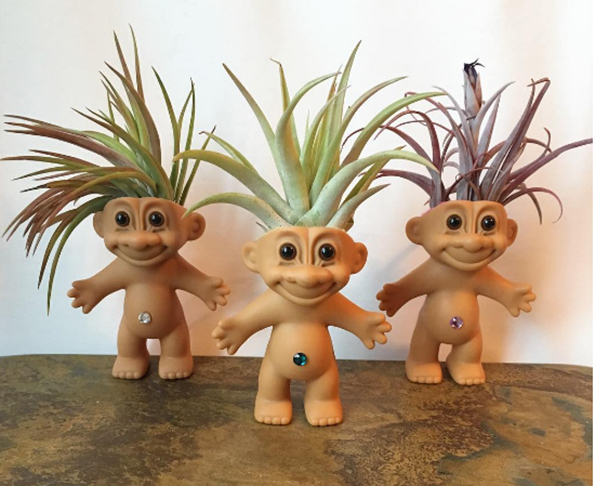 Witchsy is selling this Plantroll, a troll doll with an air plant for hair designed by Crystroll. Adult trolls (???) go for $35 or you can snag a BB troll for $30. 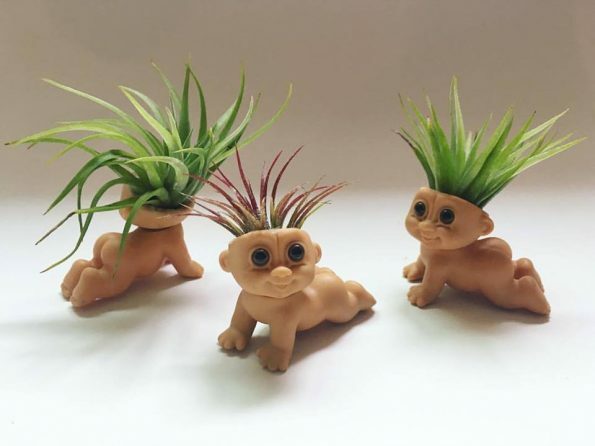 True story: I had a dream last week that god was a troll doll. I was all “Fo reeeaaal?” and god/troll doll was like “I know, right? God — a troll doll! Go figure.” Long story long, that dream was like a PSA for why you shouldn’t eat a spicy Italian hoagie right before bed. The end.